Bugatti have announced their new car, which they say is both the world’s most expensive and already completely sold out. The La Voiture Noire is all black and combines the thunderous performance of Bugatti’s existing Chiron hypercar with the styling of the brand’s legendary 1936 Type 57 AC Atlantic. Set to cost more than R176 million, the car was built as a once-off unique creation for only one Bugatti owner to celebrate the company’s 110th anniversary. Made from carbon fibre, the bodywork has been punctured by thousands of micro-perforations around the engine cover to ensure enough heat can be shifted away from the monstrous motor located in the middle of the chassis. The powerhouse car turns out 1,479bhp at 1,600Nm of torque, with drive sent via a seven-speed dual-clutch automatic gearbox and all-wheel-drive system. 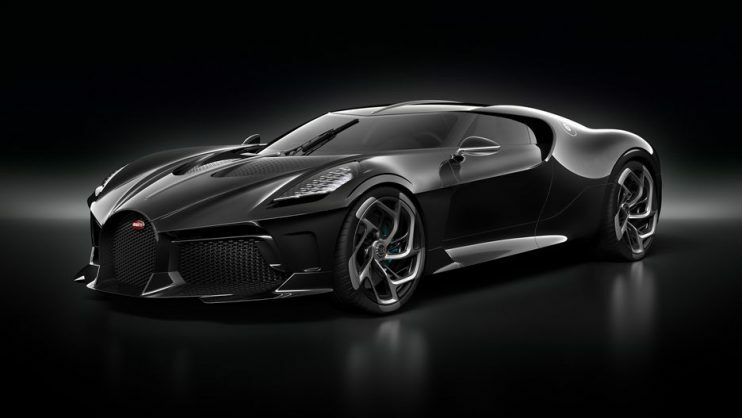 Bugatti designer Etienne Salomé explained: “Every single component has been handcrafted and the carbon-fibre body has a deep black gloss only interrupted by the ultrafine fibre structure. This is a material that has been handled perfectly.